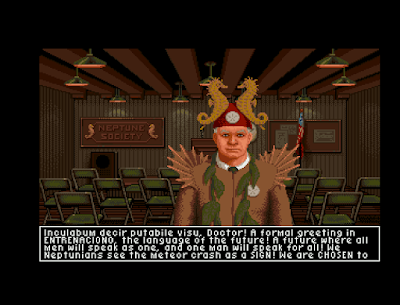 If there has been one commenter of this blog that everyone knows, it must be Canageek - that eager critic of silly adventure game plots, voracious hunter of CAPs and lover of all things geek. Of course, he hasn’t always kept up with the progress of the blog, but like a Phoenix, he has always risen from the ashes renewed. But just around the time when Trickster gifted this blog to his followers, Canageek was getting more and more behind the blog schedule. This time it was serious, this time something had got him. And that something had a name - Mara. Just as we thought we had lost our fine Canadian fellow for good, a voice appeared in the posts of old. We had gained a new reader, for Canageek had convinced Mara to take up the challenge of reading the whole history of our blog. In the months to come, she moved gradually, post by post, nearer to this day. 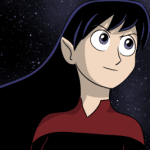 And now the time has come to introduce you to Mara properly. 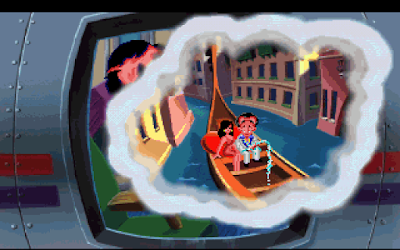 As Patti leaves Baltimore behind and settles in for her long limo ride up to Philadelphia, the scene returns to Larry, dreaming about riding a gondola with Patti through the streets of Venice. Of course, we know that his reverie doesn’t end well. This time, the gondola springs a leak, and Larry makes a rather uncomfortable discovery upon awakening . . .
A Tourguide to Spellcasting U! Welcome! You've made it, finally. All of those years of neglect from your parents are behind you now! You're at the premiere college of Sorcery, Wizardry and Other Magical Type Things: Sorcerer's University. To give you a full and proper idea of the sort of fun, education and quite possibly, hijinks you might be in for, we're going to follow one of our most famous students. Only in his sophomore year, Ernie Eaglebeak has had far more excitement than the average student, having both left University grounds to search up **REDACTED** and **REDACTED** Ernie even won a trophy for it! 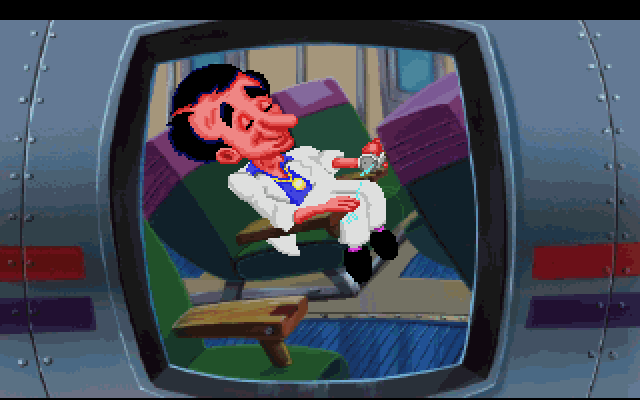 So, given this is an average lazy Sunday for Ernie, he starts in the Simulation Lab – a solid three hour treatment carefully studying his use of magic. Naturally, for the experienced Ernie, the simulation is just a matter of carefully crafted sorcery. He succeeds, leaving some animated bananas to do all of his work for him – after all, why wouldn't a future Sorcery Superstar? This is Pledge Week for Ernie, and he has fallen into the venerable halls of the Hu Delta Phart fraternity. He starts his day with a delicious plate of casserole from the Cafeteria, spending a short amount of time at the on-campus Pub. Naturally, he's a tee-totaller, but it still gives him a chance to look around the Student Union, taking his time to walk through Meltingwolf Hall, his old freshman haunts in Frogkisser House – and then heads through Yakbladder Quad to his own room back at the hallowed halls of HDP, just one of the many fraternities here at SU. Lucky Ernie has an envelope waiting for him on his bed from his former Professor and the new Dean of SU, Otto Tickingclock himself! He rushes down to meet up with the Professor at his requests, and **REDACTED** That's just one day in the life of an SU student! Join up today! The University has grown big-time! Before I get to the rating, I should point out that there are a lot of optional activities in the game. 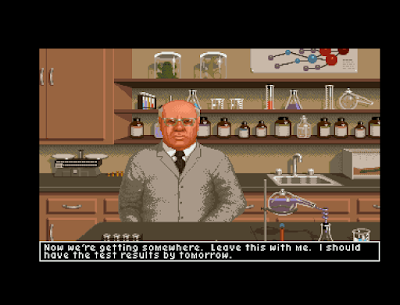 Ilmari mentioned some of them early on, most of which I forgot to try. I found a few of them as I went along, like trying to get the sludge in Rome, or giving the loose board to the innkeeper, or triggering the failed futures. If you want to know more of these, you can always read the hintbook online (http://www.mocagh.org/legend/tq-hintbook.pdf). 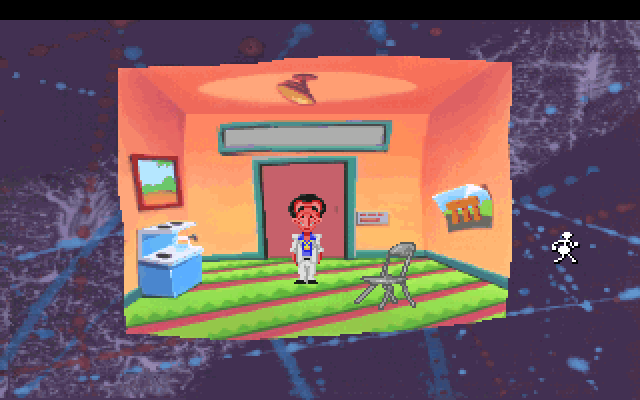 To be quite honest, I found Timequest to be a mixed bag overall. I had a lot of nostalgia for the game since I'd played it a long time ago, but I hadn't gotten very far then and certainly hadn't gotten to the ending. I did have a lot of fun playing it, and I'm glad I had the opportunity to go through it carefully with you all and finish it (as I am usually terrible about actually finishing games I start). At the same time, the graphics were sometimes beautiful and sometimes cringe-worthy, and the parser responsiveness was quite uneven. The story went from a tense chase through time to a leisurely stroll through time, culminating in an implausibly convoluted reason for it happening in the first place. Let's unpack these concerns in their individual categories. 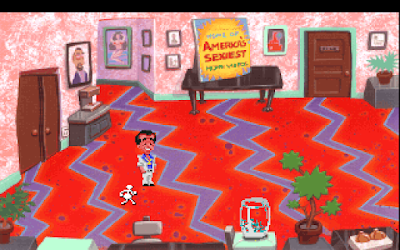 Leisure Suit Larry 5 – What’s New in Baltimore? Avoiding the groping from her limo driver, Patti alights in Baltimore, outside of the majestic Shaft building, home of des Rever Records and the FBI’s next target, record producer Reverse Biaz. Just keep talking to the guard until he calls the elevator for room 900; no mucking around with the directory or the DataMan necessary. Sure, option 3 results in no points, but you get to where you need to go regardless. Conversely, you can look at the directory AND show the DataMan to the guard for the maximum amount of points, but the point remains the same: Alternate solutions to puzzles are pretty pointless when they are all redundant and there are no stakes attached to any of the solutions. Just click, click, and click, and get to where you need to go. Why are we jumping straight to Game 61 when we haven't even started games 59 and 60? Simple. Alex is just too busy playing Larry 5, so he cannot yet start Police Quest 3, and Joe P. is trying to finish Questprobe games, so he couldn't do Willy Beamish. Next one on the roster was Aperama, always ready for some Meretzky fun. So, after the pain that was B.A.T., I've managed to recover enough that I can head into another game without having to cut out and play other, actually good games from my childhood in the middle of play posts. Which is good! 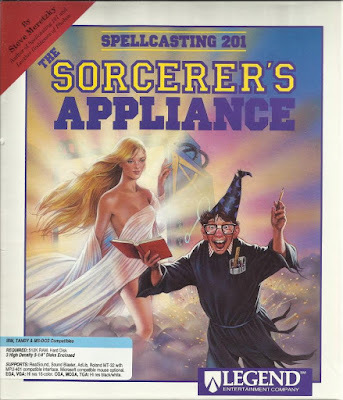 I'm also quite happy to return to the nonsensical world of Spellcasting. Steve Meretzky is sure to give a good laugh every now and then – even if the puzzles that he turns in can sometimes be on the 'confusing' side. 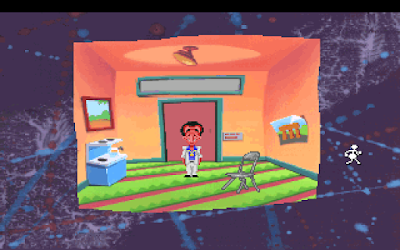 Doctor Greg Bradley Journal Entry #3: Thankfully, the last four days were just a dream. The town's last stand won't take place on June 15, 1951, as it's now June 11, and I've just helped a town defend itself against the giant ants. It was hard work, and some great people lost their lives, but we finally did it. 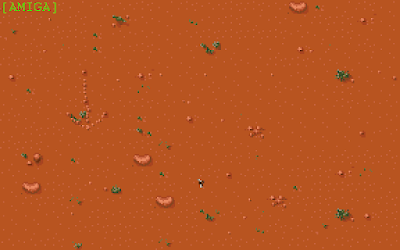 With help from the townsfolk, I found the ant's nest, entered it, and planted some dynamite. The ants won't be bothering anyone anymore. Now I'm going back home to write about the experience so people will know of the bravery of Lizard Breath's citizens. 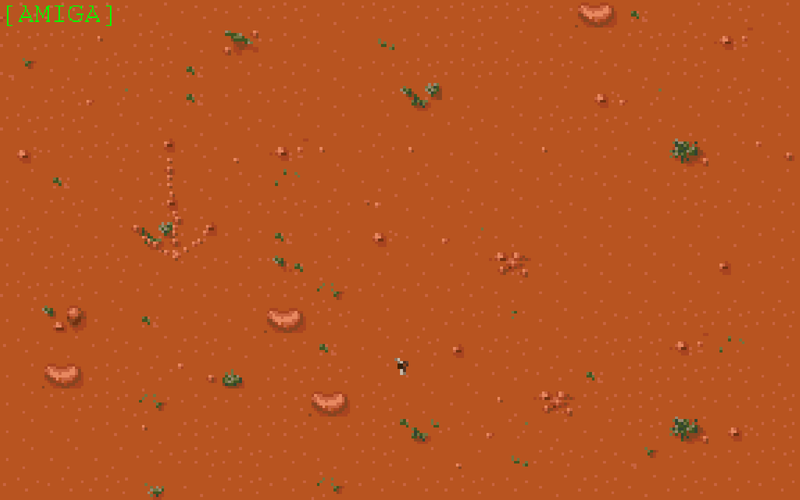 When we last left, I'd lost and the ants were well on their way to dominating the Earth. Backtracking a bit, a lot of things happened differently in future playthroughs. Notably, I WAS able to convince the mayor that the ants were real. I must have missed a piece of evidence in that playthrough. Interestingly, I was able to convince him on Day 5 by the end. Knowing where to find the evidence from previous successes and mistakes makes the game a lot easier. Most importantly, I was able to enter the ant's nest. The evidence was consistently pointing to the M-1 mine and the nearby Southwest Volcano. My preferred method of transport was via plane from Hilber's Field. After landing and getting out of the plane (without crashing, which is a an effort in itself as all those shrubs and medium sized rocks will crash the plane if I hit them. ), I run to the south of the mine where I found this rock arrow. Geez had told me he'd leave a marker where he found some evidence. The nest is actually a screen or so to the southeast, but thanks for the help anyway, Geez. Temporal Corps Private Journal #13: This has been the weirdest day of my life. In chasing Vettenmyer, I get flung back and forth through several hours of time, encountering my past and future selves in close proximity, all to disarm a deadly trap Vettenmyer constructed. When he tries one last desperate thing and fails, I finally learn why I was the one chosen to carry out this mission. Time to face Vettenmyer! I say 'east' to enter the Tower of Babel, which nets me twenty more points right away. On the wall in here, there are ten portraits, each of which correspond to one of the missions, and all the frames are glowing. I restore back just to check that it is possible to enter the tower at any time, assuming you know the password, but the far door won't be open unless all of the portraits are glowing, indicating that all of the missions are complete. So here we are, with Larry having landed in New York and Patti en route to Baltimore. As you can tell from my last post, the structure of Larry 5 alternates between Larry and Patti, giving a nice symmetry to the two’s concurrent narratives, as well as to my play sessions. When will these plot threads meet? How will the game reconcile Larry and Patti’s amnesia and what happened in Larry 3 with the machinations of the mysterious and sinister Julius? With a plot this stupid, who really cares? On to the Big Apple! I took the evidence to Doctor H.G. Wells (groan), who told me the results would be ready tomorrow. 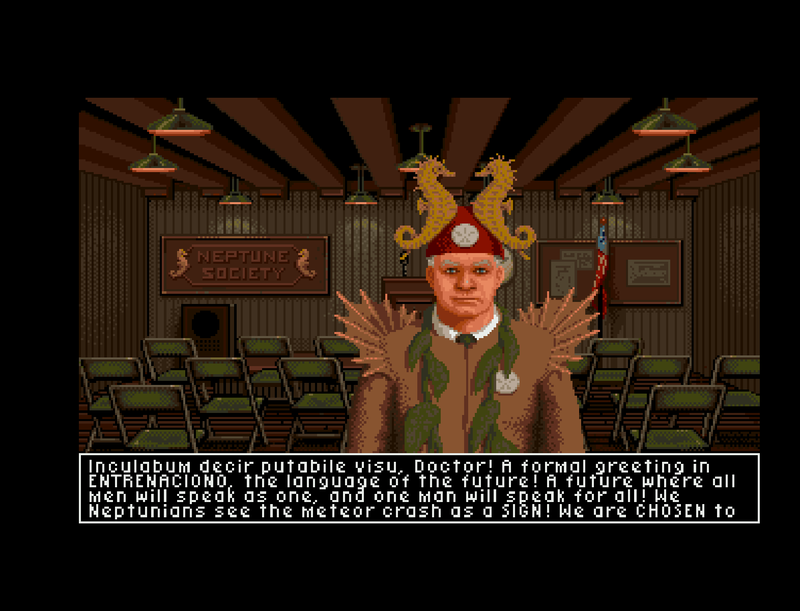 I visited a few more places, notably the Neptune Society, where the local crackpots meet to discuss their crackpot theories. This guy's name is Billy Bob Morse. I'm unsure at this point if he has twelve followers or just owns twelve folding chairs. Temporal Corps Private Journal #11: Finally I am making a lot of progress. One thing leads to another and I am able to wrap up several of the missions. Vettenmyer, I’m on your trail! I poke at some of the earlier times a bit, but I suspect I am missing at least one thing from the 1940 time periods, plus I think I remember a bit of how the 1940 mission goes, so I will tackle that next and then work my way back again. In 1940, Rome and Dover are linked in a plot to speed up the Nazi attack on Dunkirk. I must make Hitler think that Churchill is willing to surrender so that the Nazis wait long enough for Dunkirk to be evacuated. In Dover, I arrive at 5:45 pm, just before a 6:00 broadcast is scheduled from Churchill. I look around a little and find nobody in the bedrooms upstairs, but soon Churchill himself arrives. (Why he would be doing this broadcast from Dover and not from London I'm not sure.) I have a few minutes to chat with him, mostly getting iconic statements in response. Churchill is very adamant in his refusal to surrender. I have to say that the presentation of Larry 5 is really top-notch. For making a stupid comedy game that is very linear and plays more like a clickable movie than a game, Al Lowe and company have done a fantastic job of ensuring that it’s entertaining. The jokes, while puerile and immature, are well-written and perfectly timed, which helps matters immensely. But the whole vibe is similar to a movie like Airplane!, which knows that it’s dumb and just goes with it. 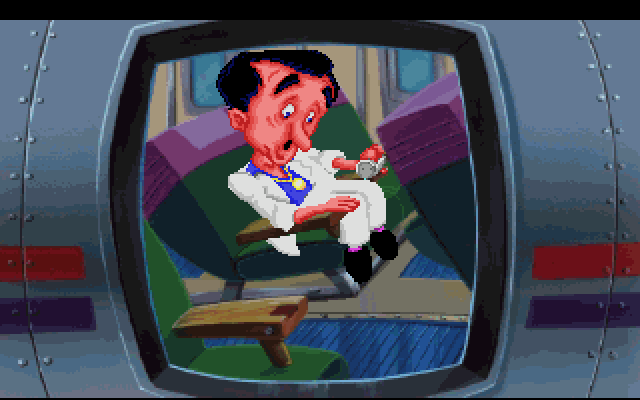 There’s nothing filthy or dirty here; as with the other Larry games, it’s mostly innuendo, wordplay, sight gags, and the kind of thing that leaves most of the perversion, so to speak, up to the player’s imagination. In other words, if you’re offended by this game, then you have serious issues. Temporal Corps Private Journal #10: I encounter yet another prostitute, as well as the Queen of England, who happen to be staying in the same hotel. I am both polite to the queen and insulting within a few minutes, but in the process I save Sir Francis Drake from the consequences of his carnal failings, which also happens to save England and further my own mission. I later break a window and don’t get into any trouble for that either. To summarize, he rearranged the city, built new roads and an aqueduct, but is best known for his iron fist of justice. He single-handedly wiped out a group of bandits that had taken over the Colosseum, among other things. There are a number of interesting stories about this guy. 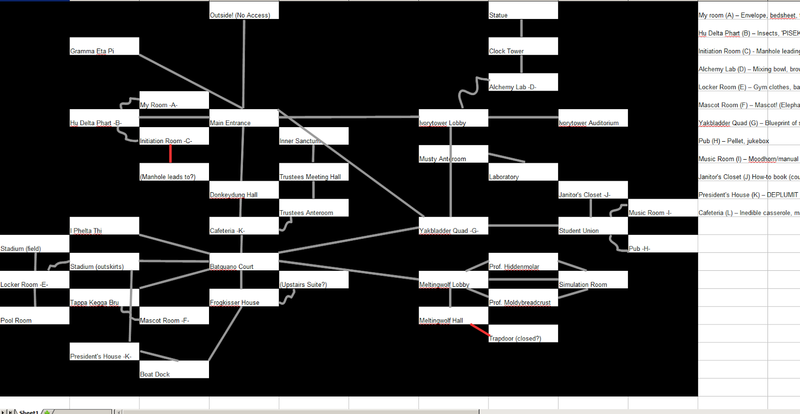 Hey, I learned something from playing this game after all, but again mostly from my own research external to the game. The Vatican looks very paved and modern here. Time for a different Missed Classic. 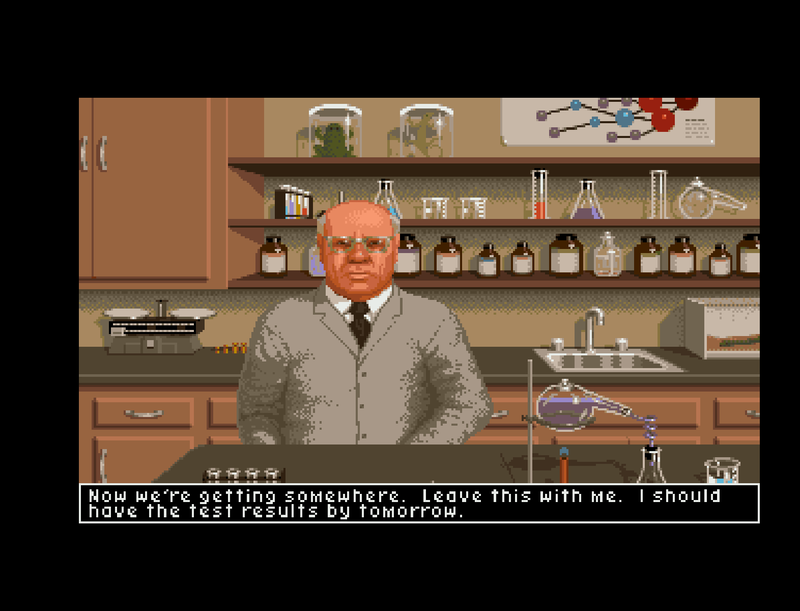 This one wasn't missed because it came out too early or didn't quite fit as a PC graphic adventure game. It had the option to be played as part of the blog but failed as nobody was willing to spend their CAPs to take this from Disregarded to Accepted. And for that, I'm glad. 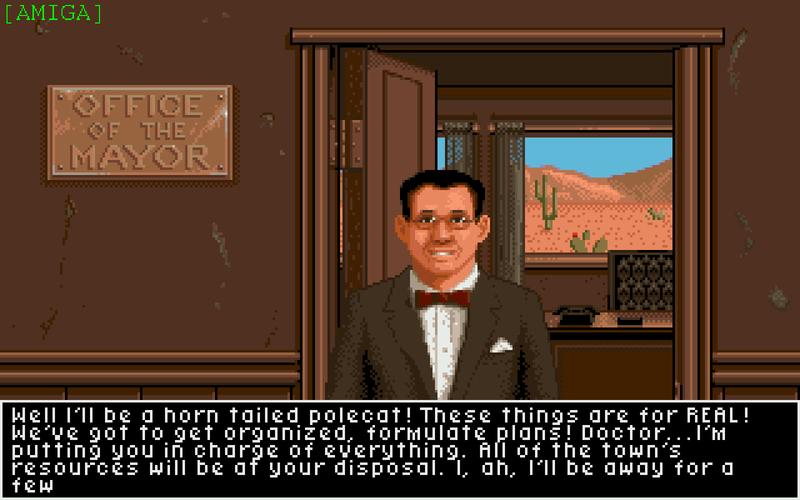 It Came From The Desert is very clearly not an adventure game. It also isn't a game specific to any genre. 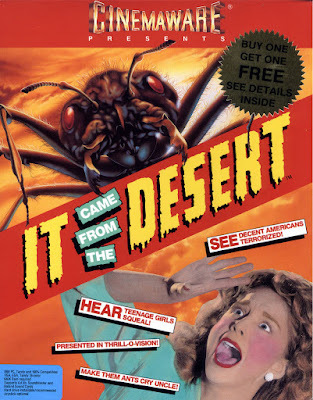 It contains many action sequences and some strategy sequences all wrapped up in a somewhat adventure game-style exploration and investigation. Temporal Corps Private Journal #9: Chapter Nine: In which I become a mule whisperer, save the life of a Young Girl, nearly become arrested in Two countries, discover many creepy Sayings, and acquire quite a Number of Loose Ends. I should Try to Write my Autobiography when this is all Finished. In the Baghdad marketplace in 1519, a vendor is selling dates for one drachma. How convenient, since I have one. Five points for buying the dates. However, they're in a heavy urn, and for some reason I can't just grab a few dates. If I try, I apparently dump the whole urn out onto the ground and the dates are eaten up by animals. That seems like a really dumb thing to do. You'd think I could put a few dates in my empty jar or something. On the other hand, now there's this nice empty urn which is described as reminding me of Ali Baba and the Forty Thieves. The thieves hid themselves in oil barrels or something, so now I'm wondering if I need to hide myself or someone in the urn. It seems to be too big for me, though. No time to learn how to tell stories.